Rabbi Shmaryahu Shulman is regarded as one of the leading students of R' Yaakov Yitzchok Ruderman zt"l, the late Rosh Yeshiva of Ner Yisrael in Baltimore. 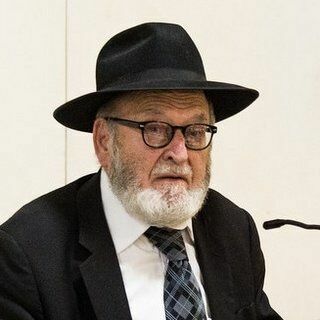 He studied in the Lakewood Yeshiva under R' Aharon Kotler zt"l, and shared a very close relationship with many other gedolim of the previous generation, among them R' Moshe Feinstein zt"l, who addresses R' Shulman in many of his Teshuvos. He has published many seforim, including Be'er Sarim, Shomer Hapesach, Shomer Mitzvah, Sukas Shalem, Meirish Babirah, and Kanfei Hanesher. He currently resides in Lakewood, NJ where he delivers a popular weekly shiur on the Parsha and other topics.